Google Pixel devices are known for its camera performance. Cameras are the main highlight and many people buy Google device just for its camera functionality. Recently, when Pixel 3 devices were launching, everybody was waiting for the preview of pictures clicked on it. As compare to last year flagship, the new Pixel 3 and Pixel 3 XL come with a very advanced camera module. Now, this new Pixel 3 phones has new Google Camera v6.1APK and Pixel Visual Core API. The new Google pixel camera apk download for android is downloadable. 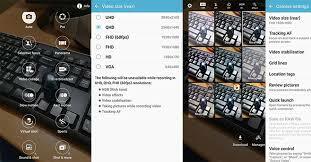 The new features includes an updated user interface, RAW support, new paranoma mode, portrait mode with face retouching, Lens mode quick access, Focus slider and so on. Any smartphone that runs on the latest Android 9.0 Pie is compatible with this Google pixel camera app download. Some of the models other than Pixel 3 and Pixel 3 XL are Essential phones, Nokia 7 Plus, OnePlus 6/ 6T and so on. 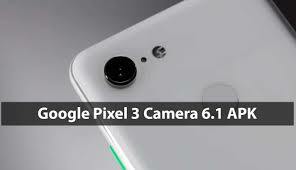 If you have Pixel 3 or Pixel 3 XL, you can easily download the latest Google Camera 6.1 from PlayStore. On other devices, simply download the APK from internet, extract the Zip file and execute it in your smartphone.